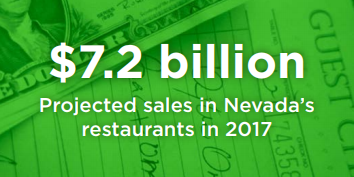 ​Founded in 1982, the Nevada Restaurant Association has since carried its mission to promote, protect, and educate Nevada's rapidly growing restaurant industry. NvRA members represent many different facets of the industry including restaurants, hotels, casinos, taverns, and allied members who are vendors of restaurant goods and services. Here are tools and resources to help manage your restaurant! The success of Nevada’s food industry is our business! 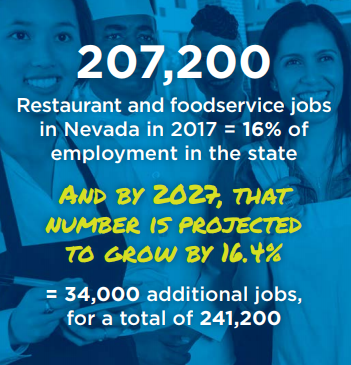 Your membership with NvRA means being part of the only organization in the state devoted to protecting and promoting the interests of the the food service industry in Nevada. Many of the major activities of the NvRA involve the representation and protection of restaurant and member interests. NvRA Travels to Washington, D.C. to Advocate on Behalf of the State’s Industry. 1 of every 2 Americans has worked in the restaurant industry at some point in their lives. The food service industry provides employment and job training for millions of people around the country.